Drumstick Lollies have been around for over 60 years! Their delicious chewy texture and flavour combination make them a firm favourite of sweet lovers everywhere. 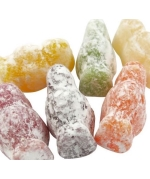 Buy in bulk or mix and match with other sweets from our Pick & Mix range to Our Pick & mix Dusty Jelly Babies are perfect for sharing. Whether you love the red ones and hate the green ones, there’ll be plenty to go around! 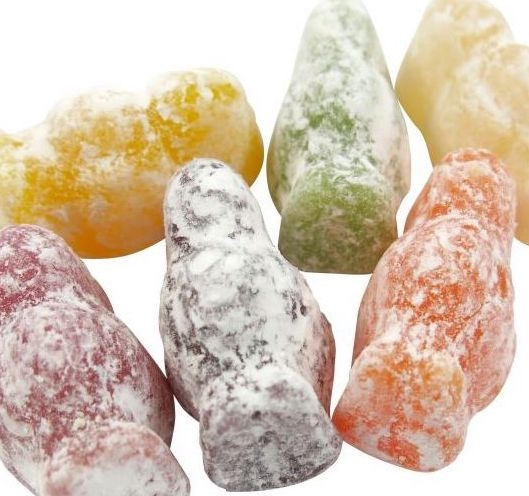 We think that Dusty Jelly Babies are best bought in bulk (don’t you? ).up your day. Ingredients: sugar, glucose syrup, water, beef gelatine, cornflour, acid (citric acid), flavourings, colours (anthocyanins, curcumin, paprika extract, chlorophylls), plant concentrates (safflower, spirulina).